Liz is delighted to show her latest hand pleated shawls in Bath alongside Carole Waller's Spring collection of clothing and scarves 'GRIT'. Also on show are Liz's fabulous bold jewellery designs. Through extensive sampling and material investigation of different wools and weave structures, students will learn ways to create fine felt fabric for fashion application. 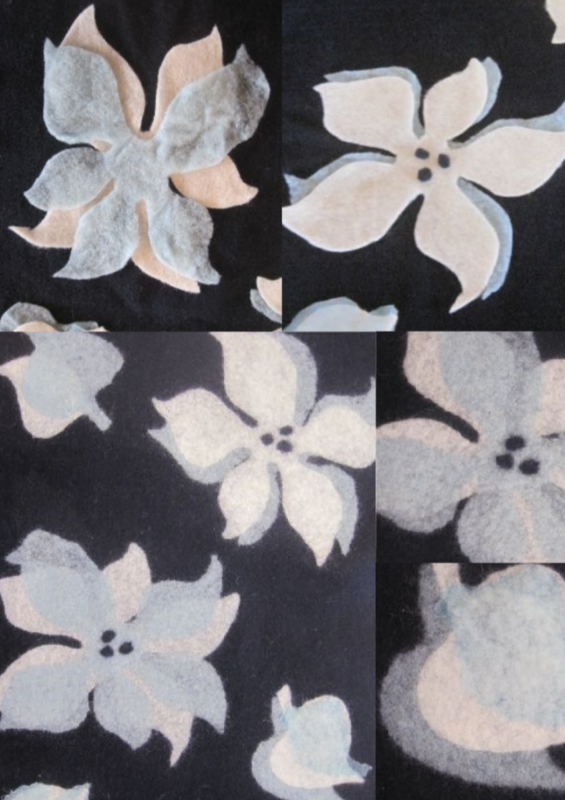 Develop fine felt techniques to create distinctive fabric for couture accessories. Working from pattern templates provided, students will customise 3D design concepts. Scarves and bags are suitable outcomes or students may work on a simple Kimono silhouette. 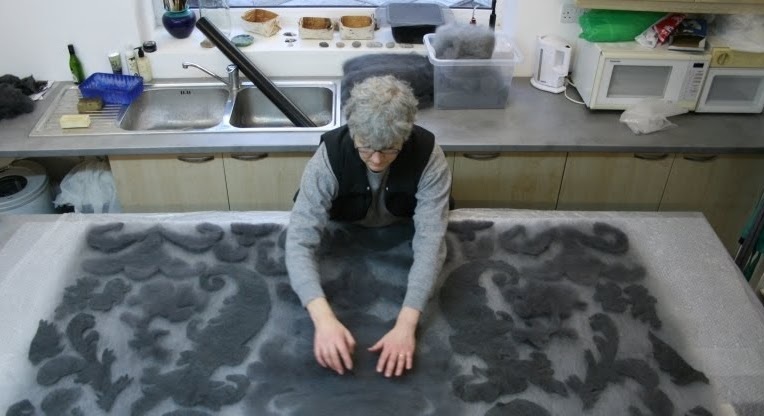 A two-day workshop to create dynamic templates and surface effects with contemporary hand felting techniques. The workshop will provide experience in simple drawing, cut-out and collage techniques, using beautiful wools and fabrics to create painterly qualities and decorative effects in hand felted fabric. 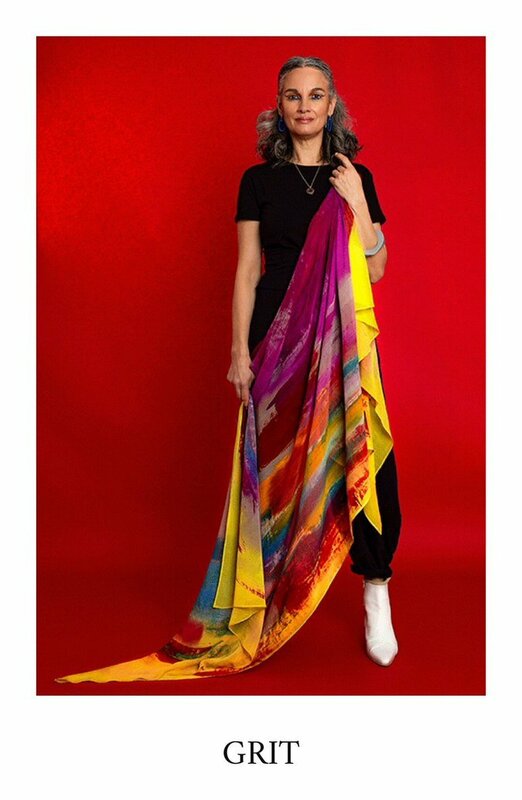 Create a unique textile for the home or as a fashion accessory.